Hire a marketing agency to handle your advertising, marketing and public relations needs with this Agency of Record Retainer Contract for use in the United States. The agency will locate and purchase advertising or marketing services on the client's behalf, and supervise all projects of the hired services. 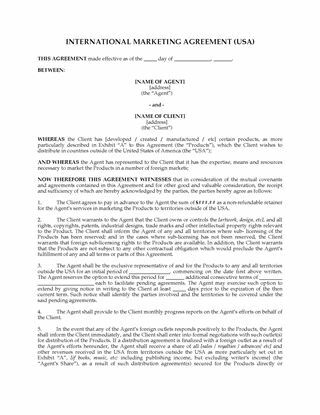 The client will pay a monthly retainer to the agent for its services. Confidentiality provisions to protect sensitive and proprietary information. 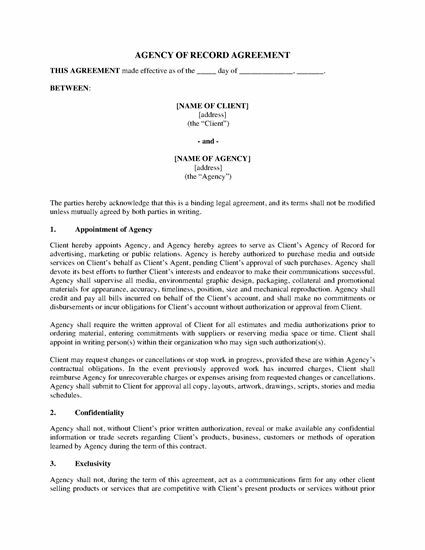 The agency will not act for any business offering products and services in competition with the client. The client indemnifies the agency against losses or damages. 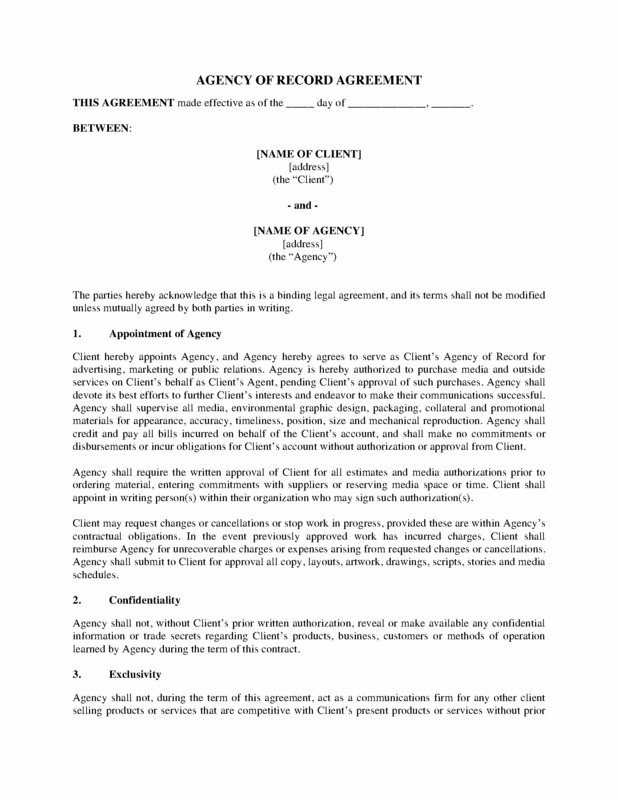 The USA Agency of Record Retainer Contract is a fully editable legal template which can be easily customized to meet your needs.